1 obi : silk ; 13 x 156 in. 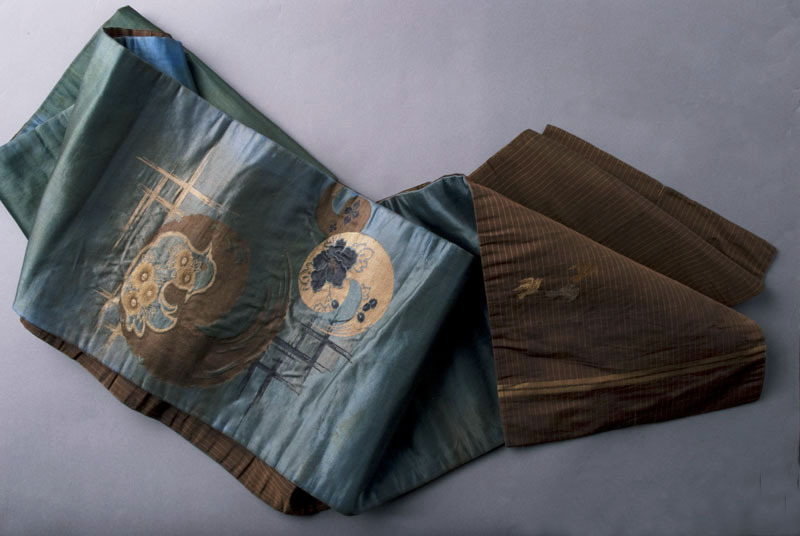 Double-sided silk awase obi with gold, rust and gray flying birds grouped in 2's and 3's on a gold grid in a field of brown on one side; reverse side features bird and flower designs on gold, brown, green and dark blue swirls on a blue-green background. Stained. Belonged to Haruno Tazawa. 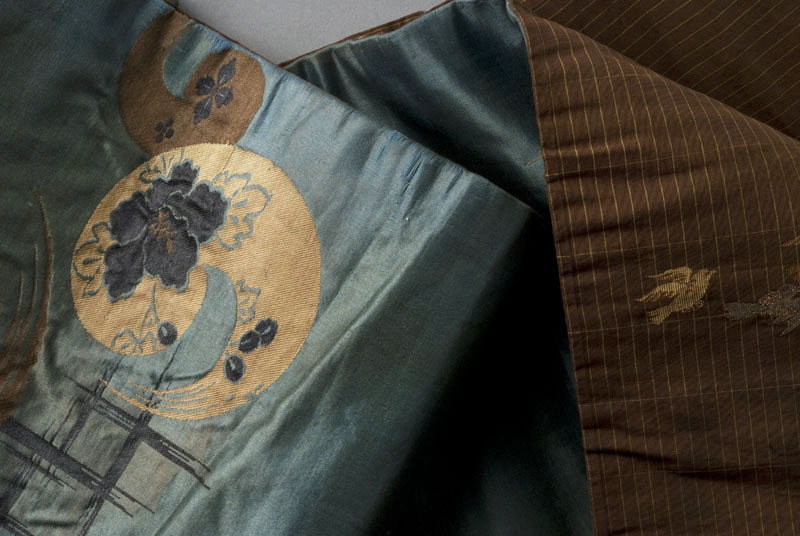 Worn for non-formal occasions during Meiji and Taisho periods.